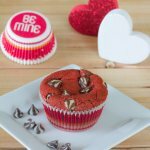 Red Velvet Muffins – An excuse to have red velvet cake for breakfast! 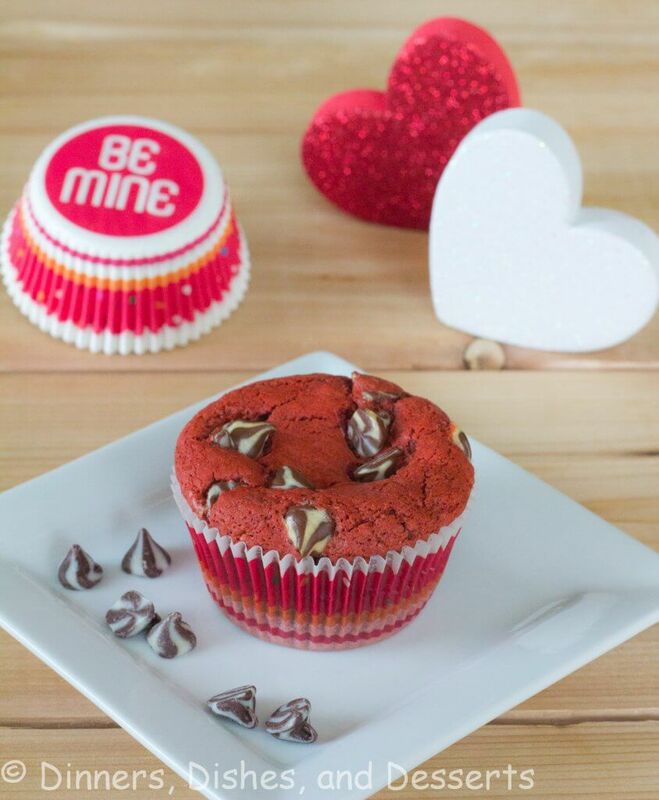 All the red velvet flavor you know and love with a few chocolate chips for good measure. 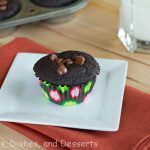 Can you believe that of all the red velvet treats out there, I could not find a recipe for Red Velvet Muffins! 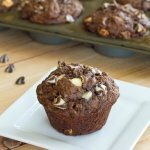 I figured if anyone was going to post a recipe for it, it may as well be me, the self proclaimed Queen of the Muffin! The only problem here is, I do not have any real experience with red velvet cake. Don’t mind the pictures, I went against all of my instincts, and did not adjust fully for the altitude. From my experience everything tastes the same when you don’t adjust, it just doesn’t look pretty. So these sunk in the middle, very disappointing. I loved these red velvet muffins though, and I will be making them again soon (with the proper adjustments). The stash is already gone from the freezer, that is how good these were. I used a white/semi sweet swirl chocolate chip, because that is what I had on hand. But either white or semi sweet would be wonderful in here. 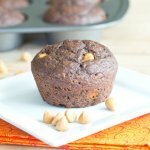 Red Velvet Muffins - An excuse to have red velvet cake for breakfast! All the red velvet flavor you know and love with a few chocolate chips for good measure. Preheat oven to 375 degrees. 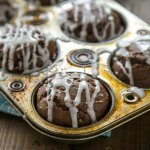 Prepare 12 cup muffin tin with liners or spray. 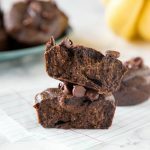 Combine flour, cocoa, sugar, baking soda, and salt. Set aside. In a large bowl combine vegetable oil, vinegar, egg, milk, and coloring. Mix well. Gradually add the flour mixture, stirring until just combined. Fold in chocolate chips. 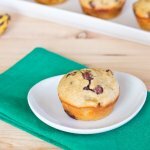 Fill muffins tins, sprinkle with a few more chocolate chips if desired. Bake for 14-18 minutes. Cool for a few minutes before removing from the pan. Good for you for solving the red velvet muffin shortage!!! They look delicious! You’re right! I don’t think I have ever seen a red velvet muffin! But, it’s certainly an excellent idea because these look so yummy! How fantastic to have a red velvet MUFFIN. Really love the swirly chocolate chips too. 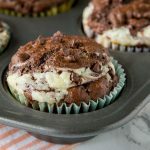 Wow I have never seen red velvet muffins but I absolutely have to try this out. Sounds so delicious! I love red velvet everything! And I love the chips you used. I have to grab a bag of those! YUM! 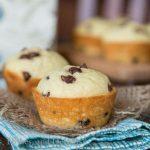 Another muffin recipe to love! I love red velvet treats. But you’ve totally kicked it up a notch with the stripy chips–they look so fun! Bravo with the red velvet muffins. 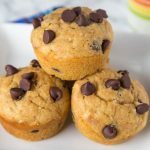 You definitely are the master of muffins, and this is a truly original idea! 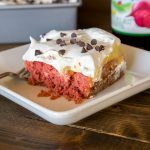 Looks like you just invented a whole new Red Velvet goodie!!! These sound heavenly!! Love it! I think red velvet muffins is such a great idea! 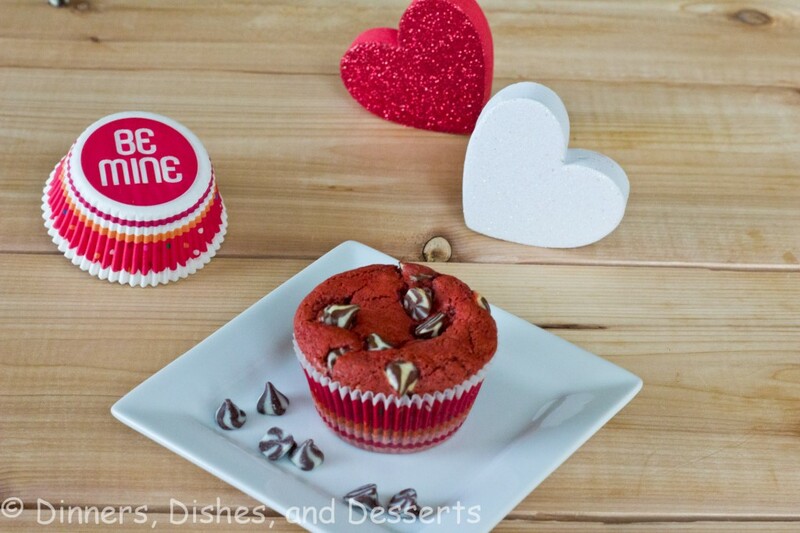 You had me at red velvet! Love those little swirl chips too. Oy man, these look and so cute! I wish I got on the Valentine’s Band wagon sooner! 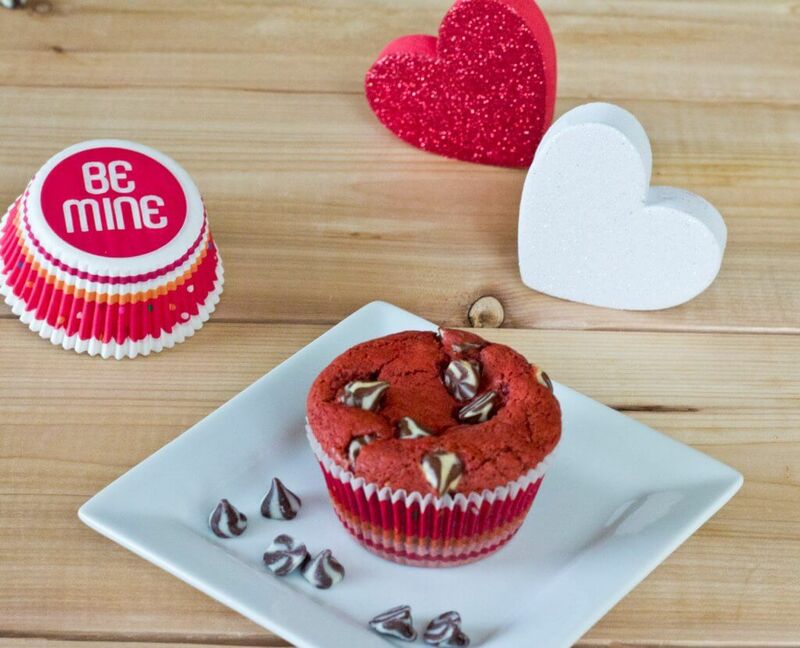 Red Velvet muffins sound just perfect to me… and you already know how much I adore Red Velvet! Great job on figuring out the muffins 🙂 And those chocolate chips are so pretty! Great post, Erin! 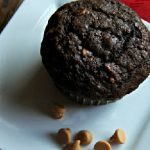 I don’t think I’ve seen a red velvet muffin before, but I definitely love the idea of it! 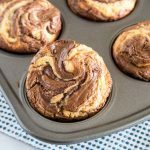 These look perfect 🙂 I like to make muffins that are only sort of breakfast foods and start the day with what feels like dessert! Click here to enter my anthropologie kitchen tools giveaway. Very pretty muffins! I really love the paper cups – so cute! Erin, these look terrific! I imagine it’s difficult to remember to always adjust for altitude! The swirled chips are perfect for it! Happy Valentines Day! Yes, red velvet for breakfast! Beautiful muffins! Great idea! It seems that it would be natural for someone to have created a muffin recipe, but your adaptation seems wonderful. BTW, those cupcake liners are so cute!